There have been overdoses and overdose deaths in every county in Connecticut; New London County – and the town of Old Lyme – are no exception. Opioid addiction knows no boundaries. This coming Thursday, Dec. 6, Lymes’ Youth Service Bureau, Lyme-Old Lyme Prevention Coalition, and Lyme Old Lyme Schools are jointly sponsoring a Heroin & Opioid Awareness Event.The program, which will be presented by the US Attorney’s Office for the District of Connecticut and the US Heroin Education Action Team (USHEAT), starts at 7 p.m. at Lyme-Old Lyme High School. It will offer an in depth look at the opioid crisis and how it is affecting families from communities just like our own. This presentation will also be given to students in grades 9-12 earlier in the week. 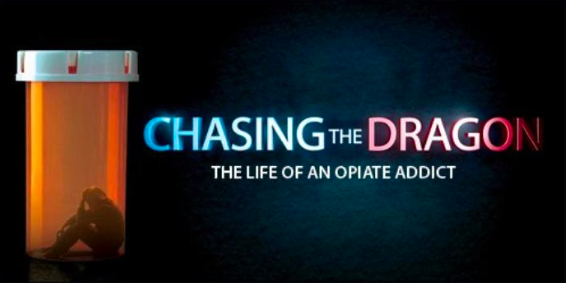 The program includes a showing of the film “Chasing the Dragon: The Life of an Opiate Addict,” a powerful documentary created by the FBI and DEA to educate students and parents about the dangers of addiction. The movie will be followed by a panel discussion with a federal prosecutor, a DEA agent, and community members, whose lives have been impacted by the opioid crisis. The mission of the U.S. Attorney’s Heroin Education Action Team (USA HEAT) is to stop the spread of the opioid abuse epidemic in Connecticut by increasing community understanding of the dangers associated with these drugs. USA HEAT is a partnership between the United States Attorney’s Office for the District of Connecticut and families who have lost a loved one to an overdose. These courageous moms, dads, brothers, sisters, and children share their stories in order to educate others about the warning signs and dangers associated with opioid use and abuse. By doing so, they hope to help others avoid the pain they have suffered. Oxycodone, heroin, fentanyl, and other opioids have become widely and easily available in Connecticut. As a result, we have seen a significant increase in the number of young adults who use and abuse opioids, often with deadly consequences. The scourge of opioids is not limited to any particular locality, socioeconomic group, race, or gender. Rather, there have been overdoses and overdose deaths in every county in Connecticut; New London County – and the town of Old Lyme – are no exception. For more information contact LYSB at 860-434-7208 or www.lysb.org.